A lot of laughter, drinks, a few war stories, and a room full of encouragement made an event to remember at Thompson Hotel Chicago this week as gb&d honored the 11 winners of the Fifth Annual Women in Sustainability Leadership Awards (WSLA). The Chicago awards dinner included speeches from Loyola President Jo Ann Rooney, Halstead/MetroFlor’s Chief Sustainability Officer and WSLA Alumnae Group Chair Rochelle Routman, gb&d President Laura Heidenreich, and gb&d Publisher Chris Howe as well as the winners. More than 100 people attended. WSLA aims to create a central hub that identifies and connects the most powerful women at the forefront of sustainability. 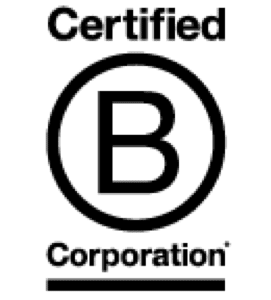 The globally recognized award celebrates and advances these top-level female sustainability executives who then, in turn, support younger women with dreams of reaching such levels of success. 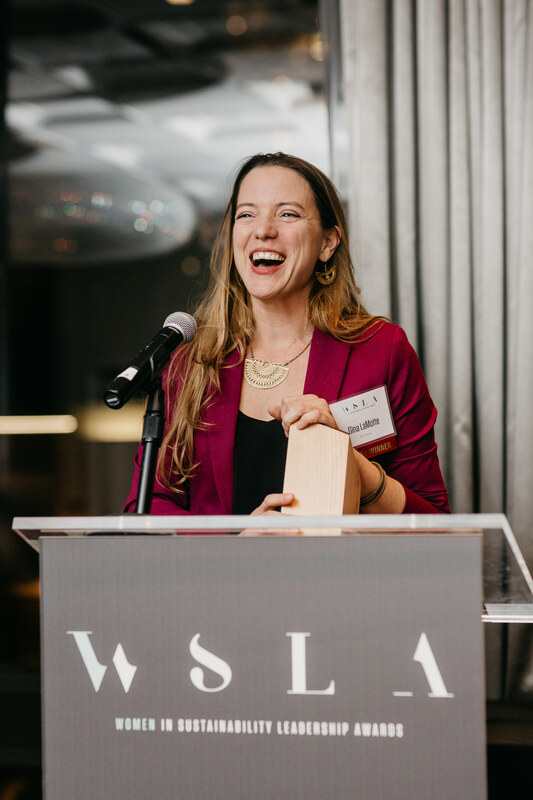 The 2018 WSLA winners making an impact on our environment are: Jane Abernethy of Humanscale; Ranae Anderson of Universal Fibers, Jennifer Berthelot-Jelovic of A SustainAble Production, Dr. Christine Bruckner of M Moser Associates, Gina LaMotte of EcoRise, Yasmeen Lari of Heritage Foundation of Pakistan, Kimberly Lewis of USGBC, Sara Neff of Kilroy Realty Corporation, Kimberly Pittel of Ford Motor Company, Andrea Traber of Integral Group, and Alicia Daniels Uhlig of International Living Future Institute. “We’re going to do great things together. We’re stronger as a group than we are as individuals,” Routman says. gb&d presented WSLA in partnership with the U.S. Green Building Council and Halstead/MetroFlor. Winners were selected by a judging panel that includes Rochelle Routman of Halstead/MetroFlor and chair of the WSLA Alumnae Group, Marisa Long of USGBC, Amanda Sturgeon of International Living Future Institute, and Chris Howe and Laura Heidenreich of gb&d. The dinner took place prior to this year’s Greenbuild International Conference and Expo. The event was held in partnership with USGBC and ASPECTA by Metroflor and sponsored by EY, Los Angeles Department of Water & Power, and Kilroy.